or the apartment for 2. 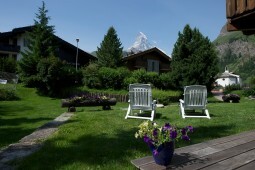 Chalet Huwi is an authentic Swiss Chalet set in the quiet, picturesque hamlet of Winkelmatten in Zermatt. 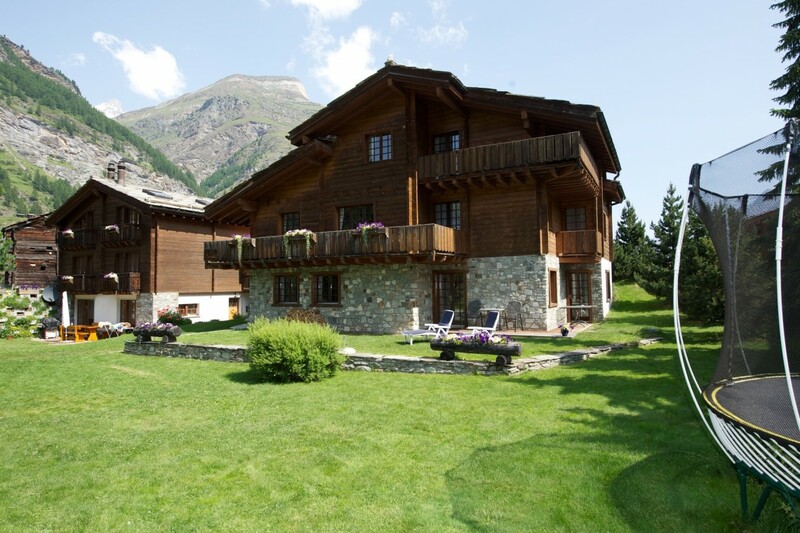 Chalet Huwi is one of only a handful free-standing chalets in Zermatt. 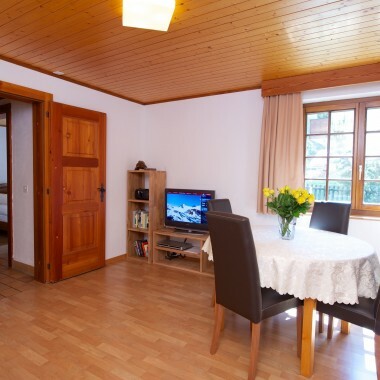 The chalet, with south facing balcony and great views of the Matterhorn, offers spacious living accommodation for up to 8 guests; rented together with the apartment Huwi, the chalet will accommodate 10 guests. 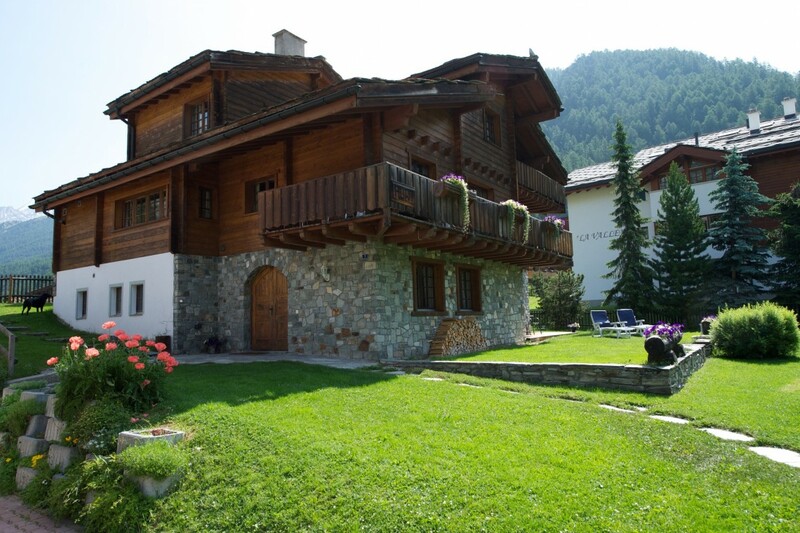 The ancient chapel, restaurants and a nice walk to the centre of Zermatt, easy accessible hiking trails and ski areas makes Huwi the ideal holiday chalet for family and friends. 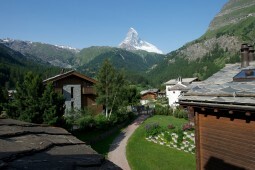 From the chalet it is a 10 to 15 minute walk to the centre of Zermatt. 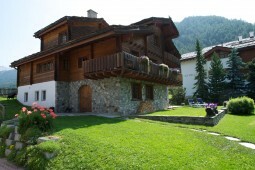 The E Bus stop is 70 meters from the house, offering direct access to all Ski areas. 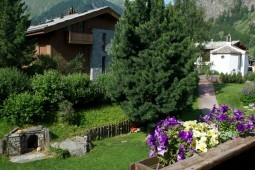 Taxi service to Chalet Huwi direct available. 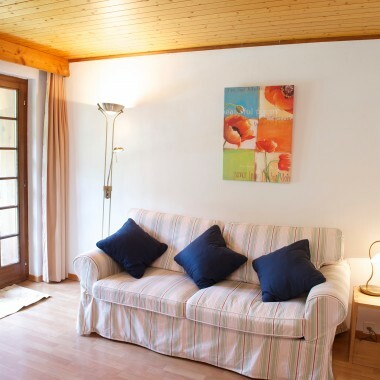 Chalet Huwi offers its guests space, time to relax in the picturesque hamlet of Winkelmatten. 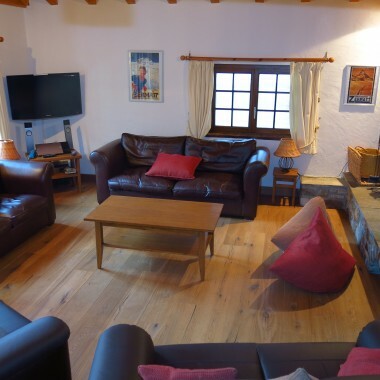 Chalet Huwi has four double bedrooms and four bathrooms, large living room with a fireplace and a well equipped kitchen. The chalet, with south facing balconies and great views of the Matterhorn, offers spacious living accommodation, for 8 guests; rented together with the apartment Huwi the chalet will accommodate 10 guests . Please note that we only accept bookings on a SUNDAY to SUNDAY basis during the winter season! 3-5 nights on request in middle/low season. 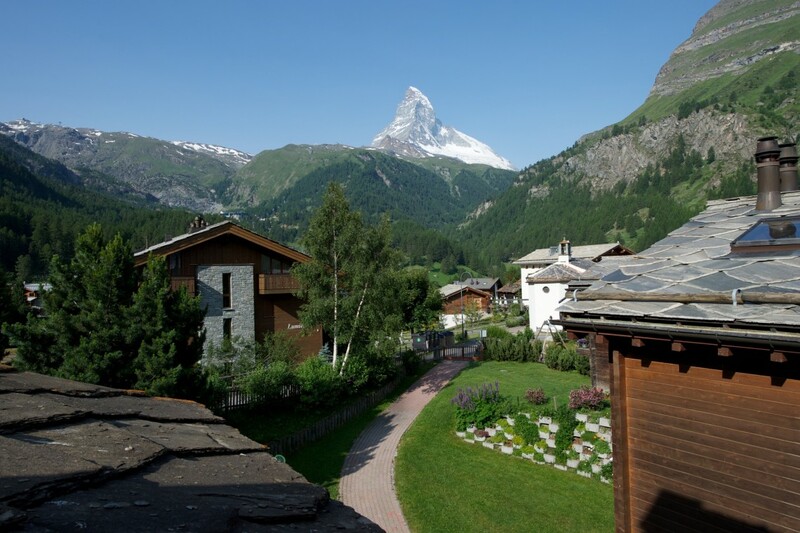 The Matterhorn lays on the border between Switzerland and Italy, in the western part of the Alps (the Pennine Alps). 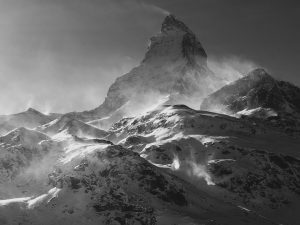 The Matterhorn’s summit reaches the height of 4,478 meters and it is an icon of the Swiss Alps (and also of the Alps in general). 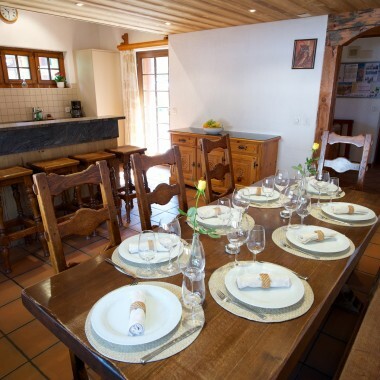 Choose between the Chalet that sleeps 8 guests or the Apartment for 2 guests – or both. 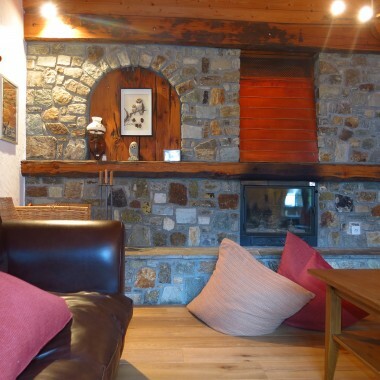 Beautiful fireplace in Chalet lounge. 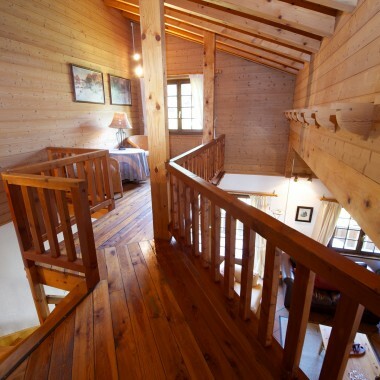 1 of 4 bedrooms in Chalet Huwi. 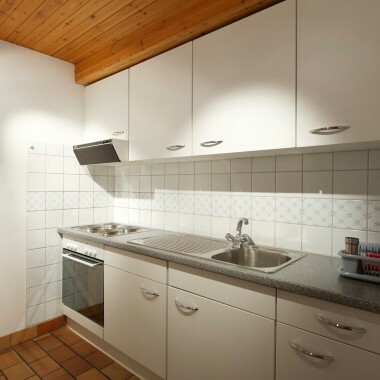 Modern kitchen, lots of space, everything you need. 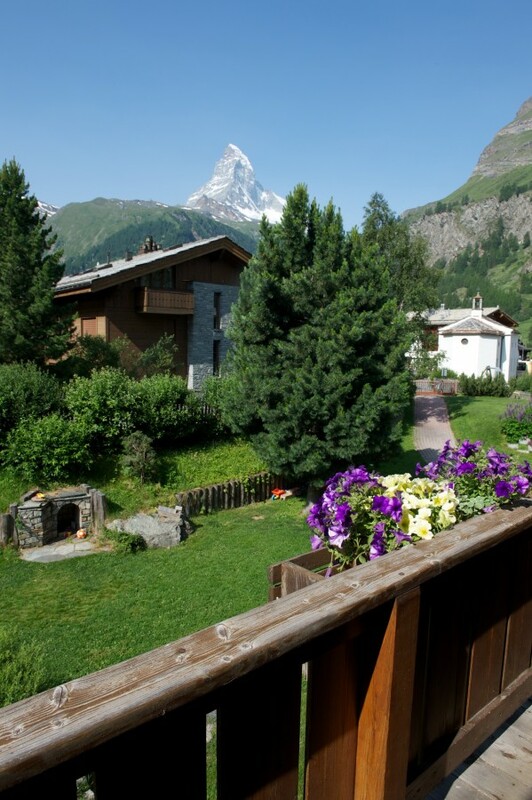 Step right out into the large, south facing garden with patio and enjoy the view of the Matterhorn. 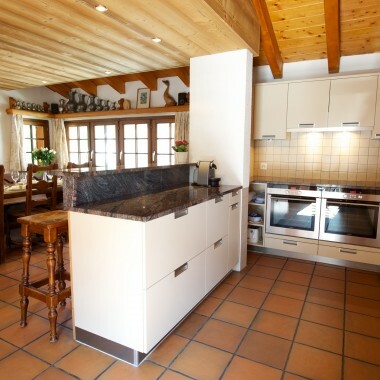 Open plan kitchen, fully equipped.